It might surprise you that despite a lack of snow, there are numerous reasons for a new roof in Central Florida. One of the most common reasons for replacing your roof is an inability to weather a storm. Roofs in Central Florida need to be able to withstand violent storm weather with the possibility of hurricanes tearing through the area. These are the most common reasons for a new roof that we see at Janney Roofing. Wind, rain and sleet can damage shingles by removing them from your roof. Sometimes these shingles can be easily repaired, but when the structural integrity of the shingles are lost, they need to be replaced. Shingles are among the most common roofing supplies carried by roofing contractors for this reason. Without replacing the damaged shingles, water from rain and hurricanes can get inside the structure of the roof and cause disastrous and costly problems for homeowners. If your roof has damaged shingles that were not properly replaced in time, you may have already suffered damage to the wood and drywall within your roof. If moisture has already found its way into your roof structure, you may need a much more serious service. Orlando roofing companies often see this problem with homeowners who are unaware that their shingles are damaged. If you notice any problems with moisture or leaking, please contact Janney Roofing so that we can assess the situation and provide an appropriate, time-sensitive solution. You might not realize how critical the role of the gutter is in keeping your roof in working condition, but your gutter helps move water and moisture from your roof when heavy winds, rain and hail come during storms. Make sure that you check your gutter on a regular basis, particularly after a storm has occurred. If you see any damage, make sure you contact Orlando roofers immediately to assess the condition of your roof. Do not attempt to assess the roof on your own. There may be weakened structural areas that were not there before the storm. Roofing contractors have experience walking on roofs with weakened structures and assessing damage after a storm. Although the sun is less abrasive and tends to cause fewer problems compared to the wind, rain, hail and hurricane storms, the sun can cause roof damage. The sun causes damage to shingles by cracking them with extreme heat and causing warping issues. This can lead to broken shingles that need to be replaced. The key is to replace these broken shingles on an annual basis. Hurricanes bring strong winds, rain and even hail that can all damage your roof and then damage the interior of your home. Licensed roofers in Orlando can help you repair existing roof damage or completely replace your roof if necessary. Janney Roofing, a company of Orlando roofers, has experience repairing and replacing roofs with high-quality roofing supplies to ensure that your roof can withstand hurricane season. 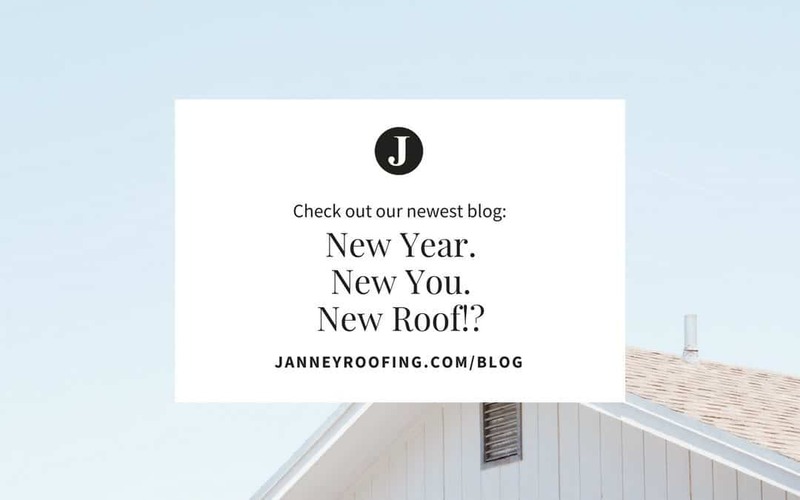 For more information about replacing your roof, contact Janney Roofing at 321-385-ROOF or by sending us an email at [email protected] If you would like to sign up for a free estimate request, please fill out our form here. As Orlando roofers, we look forward to working with you and keeping your home safe. What Are Common Reasons for Roof Leaks?